They’re important for your health! 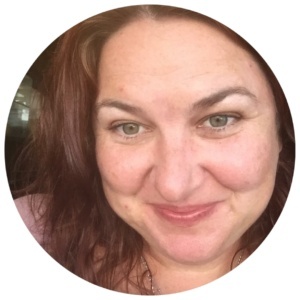 This post is re-purposed from a piece I wrote over in my wonderful group: Empowerment for Sensitive Peeps Social. We have AWESOME conversations over there! And actually, the original post was inspired by a conversation I had meeting two lovelies from Adelaide last weekend (hai Kelli and Karen!). Just so you know… this is now happening for an increasing number of people every day, all the time! More and more people are waking up as Sensitives, and finding themselves confused, overwhelmed and feeling super-vulnerable. Some of you will find that you’re empathic, others will show natural psychic gifts… and there’s a bunch of other ways our Sensitivity shows up that doesn’t even have labels! Whether you’re an empath, psychic or have the sometimes delightful experience (that’s sarcasm, folks!) of being both, when you first open up – or should I say open up again – it can be a bit of a hairy experience. Especially if you don’t know anyone else who is, or has been through the same thing! We don’t get taught about this aspect of our nature growing up, because for some reason it’s not common knowledge. I mean, our Sensitivity is just as important as anything else about being a human but it’s mostly ignored by our society, right? And so, because you’ve got few reference points and/or practical tips to help you find your way, you might end up feeling lost and alone. But really? You’re just like a LOT of other people who are also in various stages of waking up. Incidentally, this was one of the inspirations for creating the Empowerment for Sensitive Peeps Social – to extend the help I can offer to anyone who needs support. There’s a lot to ground to cover for Sensitives who are waking up. 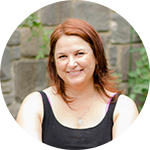 In fact I’m writing an ecourse for all the Sensitive Peeps out there, too (it’s coming!). If your senses are opening and you’re feeling super-affected by the world around you, and/or you find it challenging to be grounded and present in your own body… eventually this will have an effect on your health. It can be exciting, and even a bit of a thrill to be connected to the “unseen” world. Am I right?! You get to KNOW things others don’t, and all of the time, if you allow it. It can be a crazy kind of fun. And when you’re new to the world of being Sensitive, it can feel like So Much Excitement. However, you can’t do that all of the time without impacting your adrenal system! Why? Because the more open you are, the more info you’re receiving and processing. A LOT more info than one human body and mind can handle. Once you hit your limit, it feels less like fun and more like overwhelm, or being attacked or invaded! And when your adrenals start to get overloaded, this can impact your digestive system and even your tendons and ligaments – leading to physical aches, pains and joint weakness! Or over-revving the engine in your car every time you drive it, and using ALL the petrol. Anyone with enough experience as an empath or psychic will tell you they simply do NOT walk around 24/7 being wide open. It’s way too taxing and stressful for your mind, body and emotions. Yes, you’ve awakened your senses and gifts BUT that doesn’t mean they have to be always on. Everything in this world needs a recharge – people and animals need food, cars need fuel, electrical devices need a battery charge. Right? So this is a HUGE tip off! You’re NOT here to be “always on call” to the realms of spirit, simply because you can. Eventually, the stress will wear on your physical body, potentially leading to physical health issues. 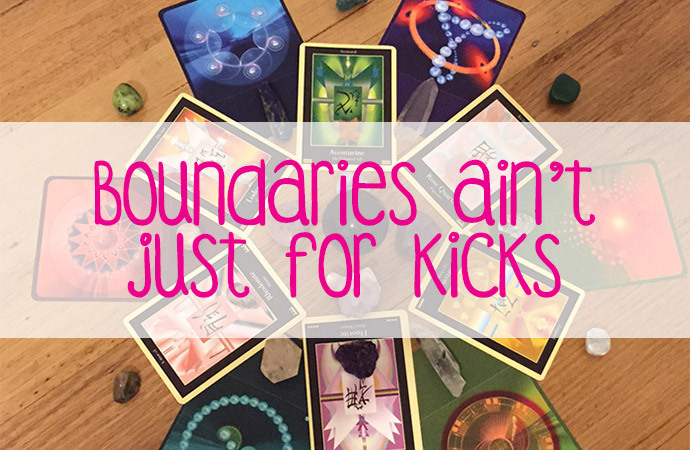 So boundaries ain’t just for kicks, they’re super-important for your wellbeing. They’re especially important to Sensitives because if you don’t have good boundaries, you can end up making yourself sick! And hands up who wants to do that? If you feel the call, then you’re here to be of service, yes. BUT. In order for this to be a sustainable, long-term gig, you’ve gotta understand you’re not here to help absolutely EVERYONE in absolutely ANY circumstance or situation. Coz again – this is too much stress on you. You’ve got a unique vibration and frequency, and you’re here to help those who resonate with what you’ve got to offer, on your terms, and within your environment. Yeah, you are! Right? Just calling it as I see it… heehee! Hands up, all of you Over-Giving People Pleasers (OGPP’s!). Until you learn healthy boundaries, you’re the one who’ll drive two hours (each way) out of your way to help someone else. And to use an extreme example – which mightn’t be all that extreme for OGPP’s! – if you believed someone needed your left arm more than you do, you’d be contemplating cutting it off, wouldn’t you? Over-giving happens when you “put yourself out”, which means you end up feeling depleted instead of refreshed from whatever help you’re offering to someone. The first tenant of being of service? Is to take care of yourself. As in, self-care MUST be paramount. In fact, you have to be your own Number 1, in terms of being of service! THEN you can give, from a full cup instead of an empty/partially empty one. The idea being: offer to others from an abundant over-flow, not from your own reserves. If you operate this way, it also means you can serve more people over a longer period of time, instead of burning out and being unable to help anyone! And this, dear people, is one of the reasons why I bang on about having good boundaries. P.S. If it resonates, you’re welcome to join the Empowerment for Sensitive Peeps Social.